As mentioned in the first article “Conceptual Overview of CRM“, of this 3 article series, CRM is a futuristic tool. This article is the second in the series. The benefits of CRM can be gauged on both tangible and intangible attributes. There is an unprecedented advent of valuable newer technologies on the business horizons. Furthermore, the scalability of business operations beyond the traditional geographic boundaries, has called for rapid usage of technology in business processes. Being at the forefront of revenue generation cycle for the organization, the Sales and Marketing department are the most innovative and agile departments in the organization. A research conducted by the Nucleus Research Firm in November 2011, highlighted an interesting proposition for why organizations should invest in CRM. The research findings indicated that “Customer Relationship Management (CRM) applications continue to deliver high return on investment (ROI), with an average benefit of $5.60 returned for every dollar spent”. Additionally, the research also highlighted that the investment also commands a significant ‘staying power’. The factors behind these key findings by experts were, Social Media, usage of online tools, marketing analytics and mobile capabilities of the application. 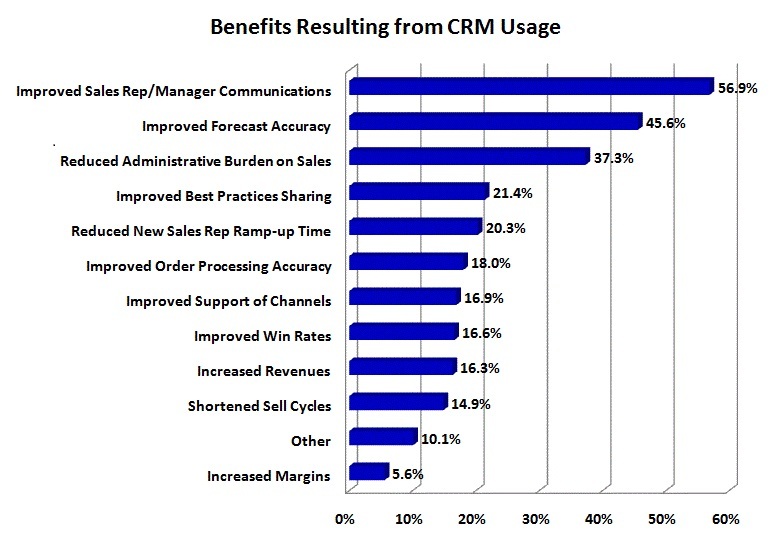 The benefits of CRM for a Small and Medium Enterprise (SME) are exemplary. The cost effectiveness and the flexibility offered by the modern day CRM’s can be used to the greatest advantages in respective fields of Marketing and Sales Operations. The benefits of CRM can move beyond the traditional contours as explained above along the tangible framework. It may also extend itself to the intangible horizons as well. In the next article, we will have a close look at which technologies would be most suited for CRM implementations for SMEs. Talk to us to find out more on how deploying the right CRM can help your small business. Let us help you improve your marketing, sales, service and customer relations team’s productivity. Contact us today or call 1-877-RISHABH (1-877-747-4224).